So, when we get 100 inches of snow in the winter time, this is what happens to the rivers in town. ISNT THIS AWESOME?!!! I love rafting down the river when it's full. There's something serene about being in the river and just enjoying the outdoors. Then all of the sudden there are surges that push enormous amounts of water through tight canyons or ravines. When the water's got no where to go, the rapid gets exciting and the real ride begins. It's such a great metaphor to life. There are times in life where you can cruise and just enjoy the scenery, but we all know there are tight places where the waters of lie start surging. You can either look at is as something to push through to get to the end, or you can take it when it comes and ride the rapids enjoying every moment of pressure. To recognize the thrill of the ride. To see beyond the middle of the rapid. To know you're going to come out on the other side. But isn't that what Jesus told the disciples? to you that we're going down?" are you such cowards? Don't you have any faith at all?" Sometimes I hear teachers blaming the disciples for their lack of faith. Didn't they know the Son of God was with them in the boat? Didn't they know it would all be ok? When the storm hits, we're the first ones to rise up and start questioning. What's going on? How does this play out? What happens when ______? Maybe we just need a little perspective. Whether it's economy, relationships, family, or job; the storm is rough. But let's not forget the one who gives life. After all, if the storm is a part of the ultimate plan anyway, why don't we just ride it? Don't get me wrong, I haven't mastered this art yet. Storms in life still pose a threat to what I deem normal or acceptable. I just hope in the middle, when I gain my bearings, I can have the faith Jesus asks us to have. "I will never leave you or forsake you." I'm holding on tight. Don't forget, we have radio Monday, Wednesday, and Friday at http://www.castlerockradio.com. We start at 4:00 Central time. Come and join us as we try and navigate life together. In the meantime, we're having a BLAST out here @campkivu. You can follow us on facebook, twitter, or cruise on over to the daily blog at http://www.kivutoday.blogspot.com. See you there!!! 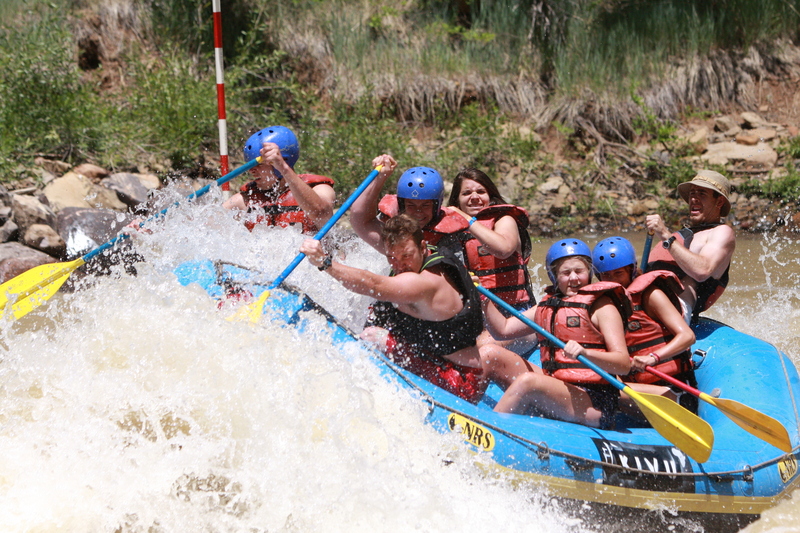 I agree with you, that the most exciting part in white water rafting was the massive rocky water and I guess seeing faces light up at the sight of frothing water or huge water.